A: You know, the noise in my dorm has really gotten out of control. My roommate and I can rarely get to sleep before midnight. الف: سر و صدای داخل خوابگاه من واقعا خارج از کنترل شده است. من و هم اتاقی ام به ندرت میتوانیم قبل از نیمه شب بخوابیم. ‌B: Why don’t you take the problem up with the dorm supervisor? A: That’s a nice computer you have. B: Now all I have to do is figure out how to use it. A: Did you pick up your letter at the post office? B: No, I got my roommate to do it. A: Have you heard that Professor Jones is retiring? B: Yes. The faculty won’t find anyone to fill her shoes. الف: شنیده ام که خواهر بزرگ تر شما عضو تیم المپیک است و در فهرست افتخاری قرار گرفته است. او باید برای خودش کسی باشد. B: She sure is. I’ve always looked up to her. ب: بله، حتما هست. همیشه به او افتخار میکنم. A: Need a ride home? B: Thanks, but, my apartment is just around the corner. Besides, I need the fresh air. ب: ممنون، اما آپارتمان من همین نزدیکی است. به علاوه به هوای تازه نیاز دارم. A: Have you seen the doctor about your skin condition yet? B: Oh, it’s not a problem anymore. I’ve found an ointment that works just fine. ب: اوه! دیگه مشکلی نیست. یک پماد پیدا کردم که خوبش کرد. A: My wife and I would like to have you over for dinner on Friday. الف: من و همسرم مایل هستیم شما جمعه برای شما به منزل ما بیایید. B: That’s very kind of you, but I have theater tickets for that evening. ب: این لطف شماست، اما من آن روز بلیط تئاتر دارم. A: Accounting is a career I never took an interest in. الف: حسابداری حرفه ای است که من هرگز به آن علاقه نداشته ام. B: I can see why. Arithmetic was never your strength. ب: می دانم چرا. ریاضیات هیچوقت نقطه قوت تو نبود. A: I’m going to the snack bar for a cup of coffee. Would you like me to bring you back something? B: Not from the snack bar, but could you pick up a paper for me? A: Man, I’m exhausted. I stayed up the whole night studying for my history midterm exam. الف: هی پسر، من حسابی خسته شده ام. تمام شب را داشتم برای امتحان میان ترم تاریخ درس میخواندم. B: Why do you always wait till the last minute? A: Do you think you could give me a ride to the library tonight? B: I’d like to, but I’m heading in the other direction. I’m meeting Jean tonight. ب: خیلی دوست داشتم. اما مسیرم از طرف دیگری است. امشب با جین قرار ملاقات دارم. A: I’d like to sign up for the film selection committee. Is this the right place? B: Yes it is! There are a lot of fun people on that committee, but you’ll have to put in a lot of hours. I hope your schedule isn’t too tight. A: What kinds of books do you like reading? B: Although I think books are great ways to learn, and I know some people love to read, I’ve never been a great fan of them. I used to read books a bit when I was younger but not much anymore. I read a lot on the internet actually, articles on various topics. So I do read, but it’s just not usually books. ب: اگرچه به نظر من کتاب ها راه بسیار خوبی برای یادگیری هستند، و با وجود اینکه میدانم برخی افراد مطالعه کردن را دوست دارند، اما من هیچوقت طرفدار آنها (کتاب ها) نبوده ام (هیچوقت علاقه مند به خواندن کتاب نبوده ام). قبلا وقتی جوان تر بودم، مقداری کتاب میخواندم اما الان نه زیاد. در واقع من بیشتر در اینترنت مطالعه می کنم، مقالات با موضوعات مختلف میخوانم. بنابراین من مطالعه میکنم، اما معمولا کتاب نمیخوانم. ب: حالا تنها کاری که باید بکنم این است که سر در بیاورم چطور از آن استفاده کنم. ب: نه، از هم اتاقی ام خواستم که این کار را انجام دهد. ب: بله. دانشکده کسی را پیدا نخواهد کرد که جایگزین او شود. A: I hear your older sister is on the Olympic team and on the honors list. She must be quite a person. A: On my way up to your office I found this briefcase in the elevator. What do you think I should do? B: Take it to the receptionist-the lost and found box is there. A: Do you still want to go to graduate school after you get out of college? B: I’ve changed my mind about that. I want to start working before I go back to school. A: Don’t you want to have dinner before you go to your evening class? B: I’ll grab a snack at the break. ب: در زنگ تفریح یک غذای حاضری میخورم. A: Joe took a taxi home alone ten minutes ago. B: I wonder why he didn’t wait for me to go with him. A: My cousin Bob is getting married in California and I can’t decide whether to go. B: It’s a long trip, but I think you’ll have a good time. A: You did an excellent job on that presentation. B: Thanks, I put a lot of time into it. A: I notice you don’t buy your lunch in the cafeteria any more. B: When prices went up, I decided to bring my own. A: I’ve been calling David for the past half hour, but I keep getting a busy signal. B: Well, if you don’t get him soon, we’ll just have to go to the movies without him. A: Have you heard about the new fitness center they’re building downtown? B: Yeah, I can hardly wait for it to open. ب: آره! بی صبرانه منتظر افتتاح آن هستم. A: What a morning! My train usually takes forty-five minutes, but today it took me over an hour to get to campus. الف: چه صبحی است! قطار همیشه من را ۴۵ دقیقه ای می رساند اما امروز بیش از یک ساعت طول کشید تا به دانشگاه برسم. B: I saw signs in the station that construction would be going on for the next three months. A: Wasn’t there once a bakery here? B: Yes, but it went out of business last year. ب: بله اما سال گذشته ورشکست شد. A: One of the members of the dormitory council is quitting. Do you know of anyone who’d be interested in taking her place? B: I’m not sure, but I’ll certainly keep an eye out for you. A: I’m getting really stressed out. I just don’t have the time to work on all three projects. الف: واقعا استرس گرفتم. وقت کافی برای کار روی هر سه پروژه را ندارم. B: You need to set priorities. Just take the time to figure out what has to be done first. 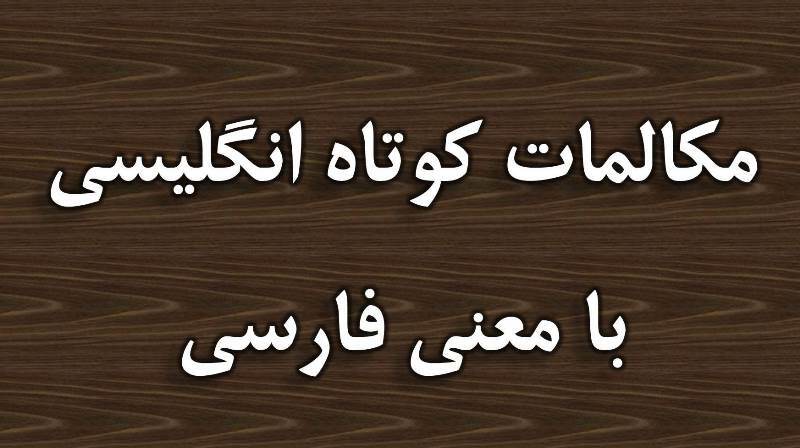 ب: باید اولویت بندی کنی. فقط وقت بگذار تا بفهمی کدام یک باید اول انجام شود. Counselor: only three more months to go! So, what are you going to do after you graduate, Mina? Mina: I’m going to go to college in Ohio. مینا: می خواهم در اوهایو به کالج بروم. Counselor: have you decided what you’re going to major in? Mina: I’m planning to study engineering. مینا: تصمیم دارم مهندسی بخوانم. Counselor: That’s a good field. And what about you, Simon? Simon: My father is going to give me a job in his company. I’ll probably work there about a year so I can learn the basics. سیمون: پدرم میخواهد در شرکت خود شغلی به من بدهد. احتمالا حدود یک سال آنجا کار خواهم کرد بنابراین میتوانم مبانی را بیاموزم. 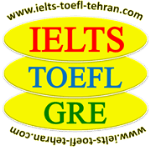 تدریس خصوصی و نیمه خصوصی تکنیک های آزمون های بین المللی آیلتس IELTS ، تافل TOEFL ، جی آر ای GRE، پی تی ای PTE و آموزش مکالمات تجاری و مکاتبات بازرگانی زبان انگلیسی در تهران. وب سایت آیلتس-تافل-تهران، تحت مدیریت بهروز اسدبیگی استاد با سابقه و برگزار کننده کلاس های خصوصی و نیمه خصوصی آمادگی آیلتس IELTS ، تافل TOEFL، جی آر ای GRE، پی تی ای PTE، زبان تجاری Business English در تهران و با هدف آموزش زبان انگلیسی ایجاد شده است.